Norton will field what looks to be the ultimate dream team in this year’s Isle of Man TT Lightweight class, with a stunning three-man line-up for their Superlight’s debut. How will Norton’s dream team of Peter Hickman, John McGuinness and Davey Todd fare in the Lightweight TT? Boasting the huge talent and experience of John McGuinness at one end of the team spectrum as he returns to the Island on both Superbike and Superlight, and the raw talent of relative newcomer Davey Todd at the other – it’s the shock signing of Peter Hickman that perhaps gives the team their best chance of a debut Lightweight win in 2019. The fastest man ever to lap the world-famous Mountain Course – recording an average speed of 135.452mph in 2018 – Hickman is at the very top of his game, and has rapidly established himself as the biggest threat on the Island circuit. 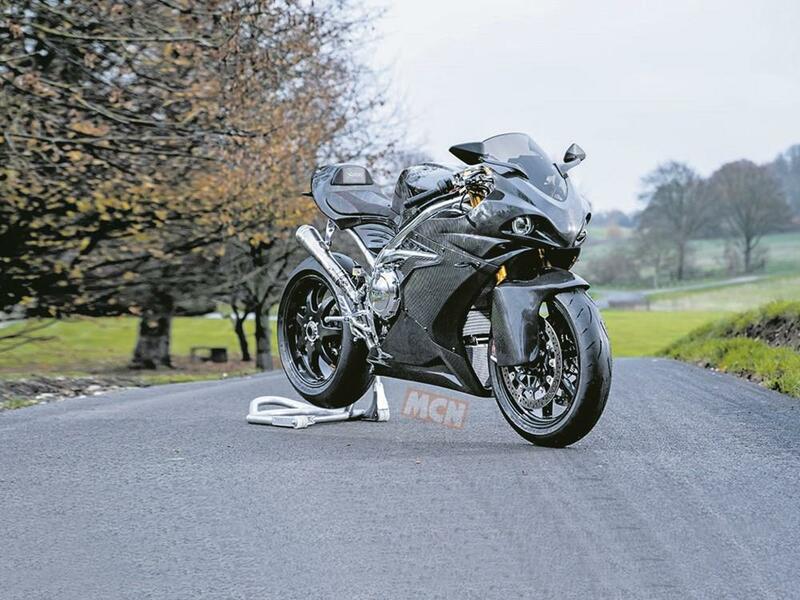 "We’ve managed to deal the perfect hand for the Lightweight class in 2019," says Norton CEO Stuart Garner, "and a potential winner on the Superbike with McGuinness. "When you talk about who’s just flat-out fast at the TT – it’s Peter Hickman. He’s the fastest road racer on the planet, and so good to work with. Just on his talent alone, you’d have to expect him to be fast. "To have the Superlight racing in 2019, and with three of the fastest road racers on the planet in the team, is just fantastic. It also shows how far Norton have come since the SG1 when the cynics said we’d never be competitive. To have the top talent riding Nortons this year really underlines that progress. "You can’t go to the Lightweight TT with a new bike and say 'we’ll be first, second and third,' but our reason for wanting the three-man team is that we love the class, we absolutely believe in the bike, and we feel the 650 twin is a real opportunity for a niche like the old two-stroke 250s. "It’s a new bike, a new engine, and a new model platform, so if we do get the results – what better way to prove the bike? We’re building the engines now, and can be out testing any day now. 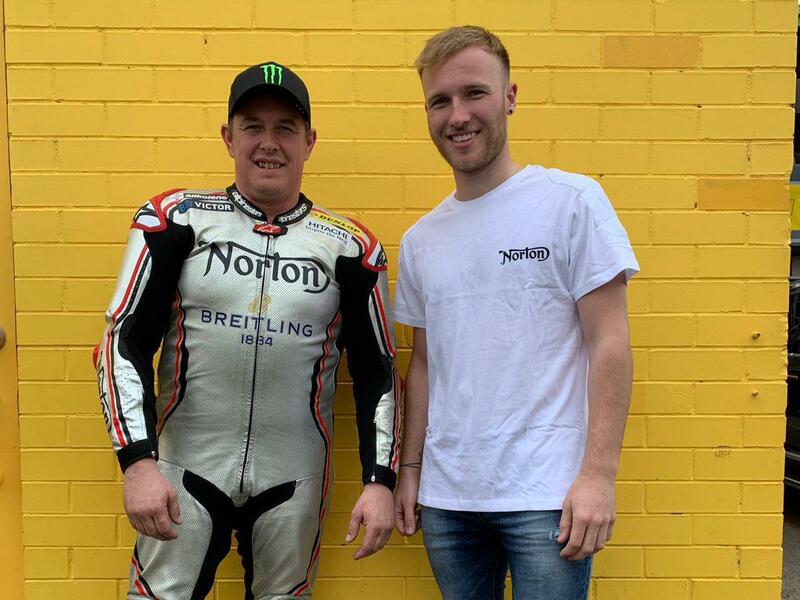 "You’ll see the level lifted from Norton this year, both with the Superbike and the Lightweight classes," says Garner. "We’ve got an incredibly strong three-man team, and the Superlight will really reinvigorate the class. It looks awesome and sounds amazing on its open megaphone exhaust. 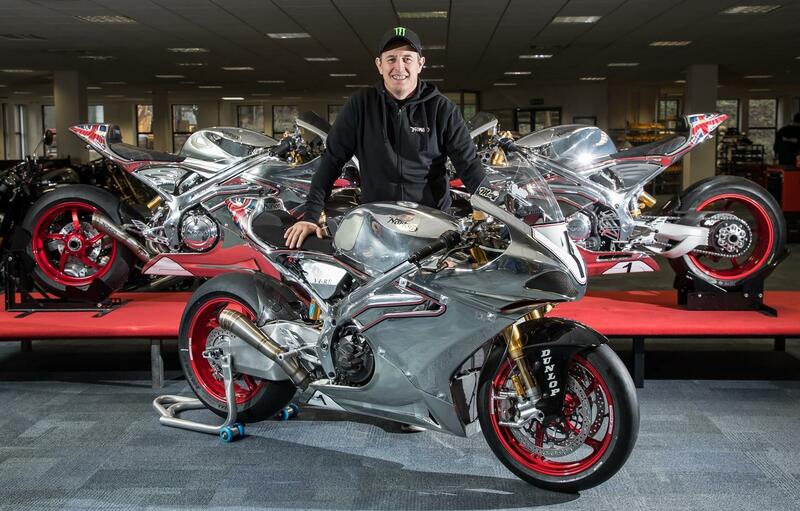 "We said on day one that we wanted to take Norton racing – and it’d be incredible to win a TT ten years on with our own chassis, our own engine, our own bike design. Whether it’s in the Superbike or Lightweight, the ingredients are all there for it to be a huge year." "Our biggest challenge is the engine," says Norton head of design, Simon Skinner. "We’re using our own engines in both the Superbike and the Lightweight. You can’t test for a TT until you’re at the TT. "It’s almost impossible to simulate a TT, but you can apply your lessons to the engineering, and that’s all we can do. I’m cautious, but I’m optimistic, too. We’ve got three great riders, and I’m confident that we’re giving them every chance, and a great package. The Superlight engine mods are minimal, too. The engine we’re running with is pretty much the standard production Superlight." 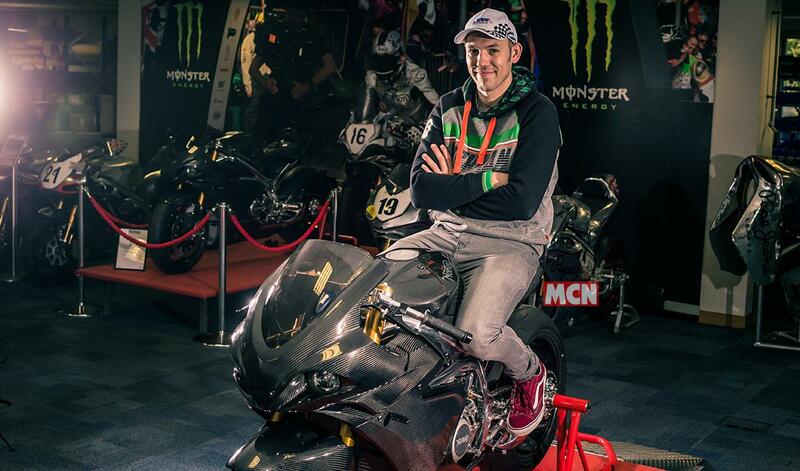 "Stuart approached me at the MCN London Show," revealed Peter Hickman, "and said he had something he thought I’d be interested in riding, so I went to the stand and there was the Superlight, which looks absolutely stunning. If it goes half as well as it looks, it’ll be a weapon. "I had a lightweight podium in 2017, and then was running in third last year so was on for a podium again. My teammate had just passed me, and I had a good gap behind me so we could have run in to the finish easily, but unfortunately the bike expired. "I think there’s a good chance of the win this year. Obviously I’ve not ridden the bike yet, but I wouldn’t be racing it if I didn’t think there was a chance of winning. "It’s a bit like the Paton in some ways, in that the Norton Superlight has been developed as a race bike, and the chassis is very similar to the V4. Brookes did almost 132mph on the V4 last year, and that’s not hanging about. And you can only do that if the chassis is good. Regardless of whether it’s got a fast engine or not, that shows how good their chassis is. "The team is really good, too. I’ve known John [McGuinness] for a very long time, he’s got so much experience, and I’ve never been teammates with him before so that’s really cool to be in a team with someone who’s won 23 TTs. "And Davey [Todd] is the new kid on the block, and was really fast last year. I thought he might even have gone faster last year. As long as he can keep a level head he’ll be a star of the future. Having the experience of John, and my speed in the same team – hopefully he can learn from us, too. "I had a chance to get a close look at the Superlight over the weekend, and it felt really good. It actually fits me really well, it’s narrow – which is good – but I’m 6ft2in and I could tuck in really well, which is really important. The hardest part for me riding the lightweight bike is just that I’m not used to them. "I’ve been riding superbikes since 2004, and have never really ridden 600s in my career. I went from 125s to a 400 for one year, and then straight onto the 1000s. But because of my size I’ve always had quite good corner speed anyway – but it always takes me a good half a lap to get into the lightweights. I’m good on the big bikes, but I’ve not quite got it to win on the supersport bikes, and have only been riding them since 2015 really. "The Norton really looks like it could win, and if we could get a British manufacturer to win a TT, how cool would that be – that’s got to be the aim." 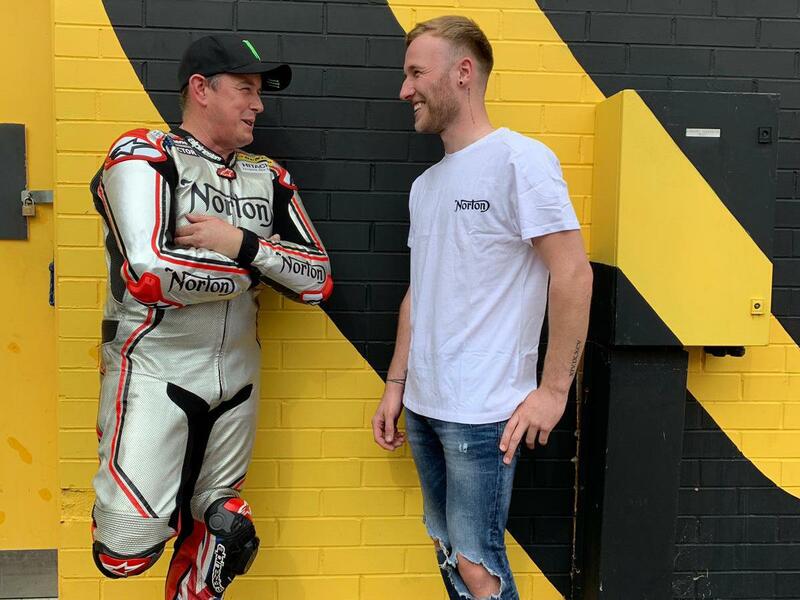 John McGuinness will race for the first time since his horrific 2017 NW200 accident, teaming up with Hickman and Todd on the Lightweight, and as the sole rider on Norton’s V4. 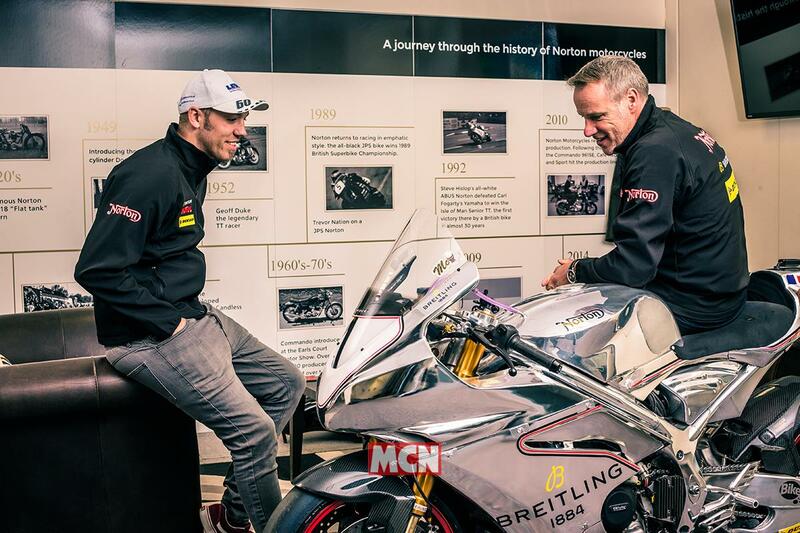 "I’m blown away with the Norton Superlight," said McGuinness. "It’s a class I’ve never raced in so I’m really excited and want to be winning. It’s another opportunity for a win for me and I’ll be putting my heart and soul into it." "With McGuinness it’s experience," says Garner, "and when you look behind his big bike victories to his early career, he was a 250 rider and loved those lightweights. You’ve got to smooth, you have to carry corner speed, and that’s what the Lightweight class is all about. Equally, we’re targeting a podium on the Superbike with John. We’d be doing him a disservice if weren’t, and we want to build on last year’s 5th place." While McGuinness has more TT trophies than any other current racer, and Hickman is rapidly bolstering his TT trophy cabinet, there’s no doubt that relative newcomer Davey Todd is the raw new talent in the team. The fastest newcomer ever at the NW200, and the second fastest ever at the Isle of Man TT (posting a 128.379mph lap, second only to Hickman), Todd is clearly destined to stand on a podium at the TT. "Davey is such a talent for the future," says Garner. "He was such a natural fit for the team alongside McGuinness and Hickman. He’s got a big year ahead of him, after a big year last year. He needs to put a solid roads campaign in this year, and it’s be great to see him specialise on the roads. He’s got exceptional talent." He has risen through the ranks of British Enduro and Supermoto championships, before winning the Elite Stock 600 Thundersport title in 2015. Last year saw him finish 9th in the Senior TT, 10th in the Superstock and 16th on the Superbike (all on Suzukis), with two 12th place finishes on a Honda in the Supersport class. The 23-year-old told MCN: "I’m really excited about it. It’s so cool to be in a factory team, and a British team. I grew up dreaming of being a factory rider, and now I am with Norton. I’m living the dream. "I’d had a bit of contact with Stuart before, and went to the Burnout event at Donington Hall last year and rode that on a supermoto bike and won both events. Me and Stuart have kept in touch since, and when the Lightweight opportunity came up I just jumped at it. "I hadn’t really planned on riding in the Lightweight class at the TT, and this is my debut year doing that at the TT. I rode a lightweight at the Irish national races with the Burrows Engineering team, but didn’t ride it at any of the international races. "So it was something I hadn’t really planned on doing, but when the opportunity presented itself I jumped at it. A new bike, a new development, and working with some awesome riders – you can’t ask for more. "With McGuinness and Hickman as teammates, I honestly couldn’t have picked two better guys to work with," says Todd. "They’ve both been helpful towards me already, and it’s like a dream riding with guys I look up to. "I really don’t know how it will go, all I can do is go there and do what I can do. This is only my second year at the TT, and I don’t want to put too much pressure of expectation on the job – but the package is right, so a good result is a possibility. "I was riding the ER-6 last year with Burrows, but that was never designed to be a race bike. But the Norton looks like a real race bike to me, has a race chassis, and doesn’t look like the other Lightweight bikes. "The team should be brilliant. Hicky is obviously the man of the moment right now, while obviously John’s had a bit of time out, but you can never write John off – if anyone can pull something out the bag, he can. While they'll both be tough to beat, in the same breath I couldn’t be happier to have them as teammates. "I'd love to be a guy who can do both roads racing and short-circuit racing – I really enjoy both. The TT is definitely the focus for me right now, but I can be competitive on short-circuit as well – so if I get the chance to do both competitively, I will. "Having the factory ride with Norton will definitely help, it’s a dream come true – and it couldn’t be better than it being Norton."